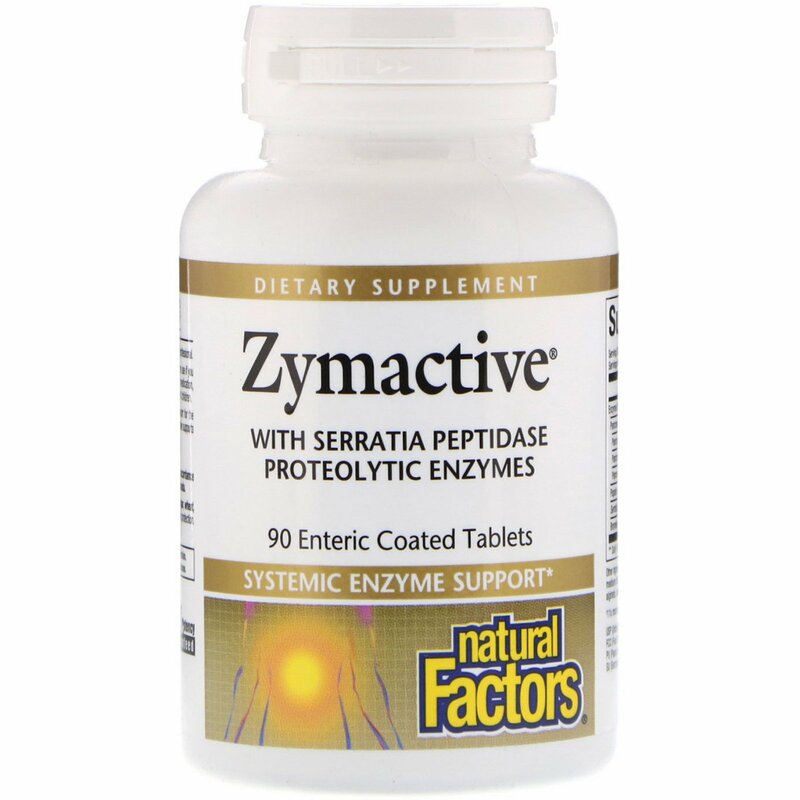 Zymactive is an advanced formula that provides systemic enzyme support for the body's natural healthy inflammatory response and immune system. Zymactive supports muscle, joint, and overall tissue health. 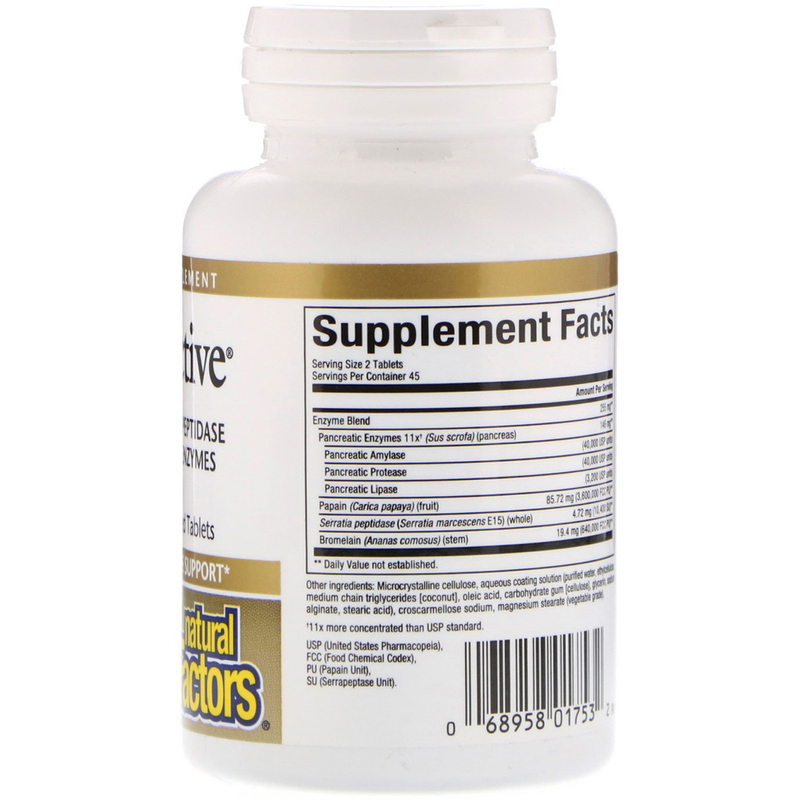 1-2 tablets 2-3 times per day on as directed by a health professional. Microcrystalline cellulose, aqueous coating solution (purified water, ethylcellulose, medium chain triglycerides (coconut), oleic acid, carbohydrate gum (cellulose), glycerin, sodium alginate, stearic acid), croscarmellose sodium, magnesium stearate (vegetable grade). Contains no artificial colors, preservatives, or sweeteners; no dairy, sugar, wheat, gluten, yeast, soy, egg, fish, shellfish, salt, or GMOs. Cautions: As with any supplement, consult your health professional before use if you are pregnant, breastfeeding, or trying to conceive, or if you are taking medication, have a medical condition, or anticipate a surgery. Keep out of reach of children. †11x more concentrated than USP standard. USP (United States Pharmacopeia), FCC (Food Chemical Codex), PU (Papain Unit), SU (Serrapeptase Unit).